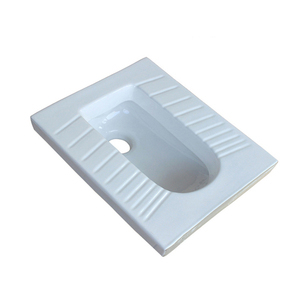 White Ceramic Squat Pan Toilet Advantages: 10 Years Experience in this field and 9 Years alibaba golden supplier! 1.AAA Grade Ceramics 2.Easy-to-clean surface when coordinated with vanity tops. 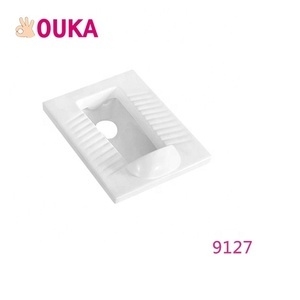 4.100% Inspection and No MOQ Requested 5.White,Beige,Yellow etc colors can be choose 6.Can be easily installed with solid surface countertops, kitchen countertops, bathroom vanity tops. 3. More than 10years experience in exporting to make your order more smooth. and 30min taxi ride from Chaoshan station and we will go to pack you up . Q: Can we combine many items assorted in one container in my first order 9 A: Yes,you can . 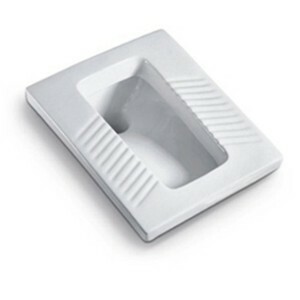 7 YRS Foshan Sani Sanitary Ware Co., Ltd.
4. Floor mounted or wall installed, simple and stable, all accessories supplied. The United Nation Peacekeeping Forces C). The Russian Federation Far East Military Engineering D). 1 YRS Tangshan Jishun Ceramics Co., Ltd.
2 YRS Henan Aoyu Ceramics Co., Ltd.
3 YRS Shenzhen Ento Trade Co., Ltd.
10 YRS Ningbo Guangrun Kitchen And Bathroom Products Co., Ltd.
1 YRS Zhongshan Linricarey Import & Export Trading Co., Ltd. 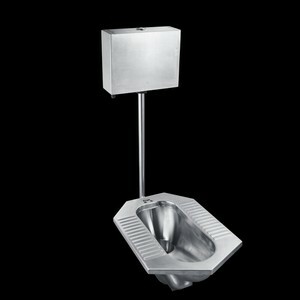 Kitchen Sink, Ceramic Basin, Ceramic Toilet, Faucet, Shower Set ,Urinal, Bidet, etc. b. 3.We can provide one-stop procurement services. 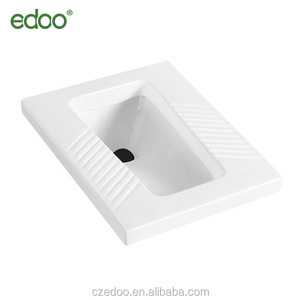 4.We are the top 10 of the biggest suppliers of sanitary ware in Alibaba. (We are manufacturing superior products Using top quality glaze ) C. Payment Terms T/T (30% deposit pay in advance and balance should be paid before shipment. Q: Can we combine many items assorted in one container in my first order 9 A: Yes, you can. 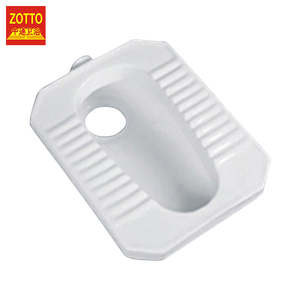 1 YRS Fujian Bashield Industry Co., Ltd.
Alibaba.com offers 5,918 squat toilet products. About 27% of these are squat pans, 15% are flush valves, and 13% are toilets. 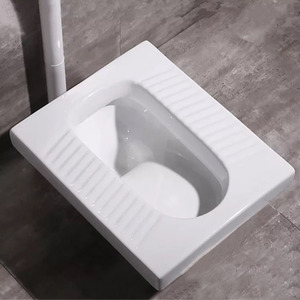 A wide variety of squat toilet options are available to you, such as automatic operation, dual-flush, and concealed tank. You can also choose from stainless steel, ceramic, and steel. As well as from free samples, paid samples. There are 5,918 squat toilet suppliers, mainly located in Asia. 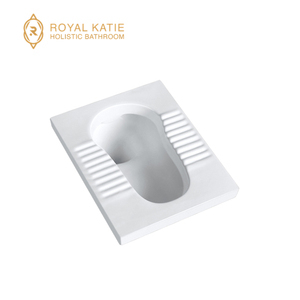 The top supplying country is China (Mainland), which supply 100% of squat toilet respectively. 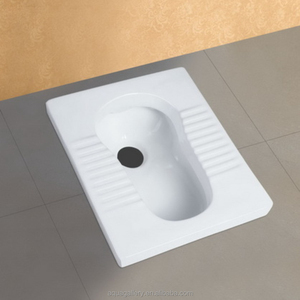 Squat toilet products are most popular in North America, Southeast Asia, and Mid East. You can ensure product safety by selecting from certified suppliers, including 2,376 with ISO9001, 520 with Other, and 259 with ISO14001 certification.